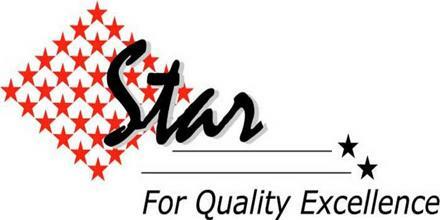 Star Computer System Limited (SCSL) is one of the leading ICT solutions and services providers in Bangladesh having ISO-9001:2008 certification and going through CMMi Level 3 journey which to be appraised by June 2015. Our Business Application Development services help clients concentrate on evolving business and technology challenges by defining, designing and building applications adapted to meet your business requirements. SCSL implements best practices like BOOT, JV, Turnkey and SaaS model for its projects. SCSL develops in windows, web and mobile platforms for better accessibility and user friendliness of the user end. SCSL works with ERP, HRM, e-Commerce, e-Governance Application, Web Portal development and implementation in an enterprise scale. SCSL marks success for the strongest product line the “‘ERP OPTIMA'” providing a stellar Enterprise Planning Solution. Our consultancy services have provided solutions for Capacity Development of Bangladesh and other Ministries of Government of Bangladesh. We give high priority to every job we undertake. Choosing tools that solve today‘s problems and anticipate tomorrow‘s need. Appropriate development processes with continual improvements. To know Human Resources Planning practices of Star Computer System Limited. To learn about recruiting and selecting procedure of Star Computer System Limited. To identify training and development methods applied in the organization. To know performance management practices and compensation practices in the organization. To have a clear view about what is actually happening in the area of Human Resource Management of the company. Every organization is operated by Human beings. And as a service sector acquiring their services, developing their skills, motivating them to high levels of performance, and ensuring that they continue to maintain their commitment to achieve organizational objectives. So it is important for us as potential business executives to gather information about the prevailing scenario of Human Resource Management. The following methodology was followed throughout the study .The study is based on both primary as well as secondary data. Careful observation of various activities of related section of HR department. Discussions with the officials of other Departments. SCSL deliver an end-to-end, integrated platform that enables enterprises to quickly design, build, test, deploy and manage experiences. They provide a suite of customizable and also ready-to-run applications that ensure faster time to market, and provide enterprises the flexibility to evolve at a higher speed. We know that exceptional experiences begin with extraordinary people. We employ the leading experts, and technology innovators and proven integrators. We empower our employees to become a committed team, and a talented developer community to create experiences that matter. It is, therefore, the mission of the company to offer our employees an entrepreneurial work environment in which excellence, team work, open communication, innovation, respect and personal growth are encouraged. SCSL is committed to provide a working environment free from unlawful discrimination and to foster a company culture founded upon the fundamental dignity of all of its members. It does not discriminate against or permit harassment of employees or applicants for employment on the basis of race, color, gender (including gender identity and expression), religion, and national origin. In general all administrative positions, including senior and executive level positions, must be posted through the Companies Career Page and different Job Portals and keep them posted for a month to the least. As part of SCSL‘s commitment to equal employment opportunity and affirmative action, the company has an established Administrative Hiring Process for all applicants. SCSL hires, develops and retains the best employee for every job. It takes steps to identify and encourage highly qualified applicants to apply for jobs and try to make the hiring process as clear and easy as possible for applicants and managers. ERP Optima TM: ERP-Optima TM streamline entire business operation of your company integrating all the functional departments of the organization. CMAS-Optima: CMAS – Optima offers a secure web based system to track garments factories compliance in an efficient & cost effective way. Accounts & Finance: SCSL system is designed to automate your financial processes to support complex legislative requirements and create value through timely monitoring. SCM-Optima: SCSL Supply Chain Management application helps you to deliver the right product to the right market at the right time. SCSL provide full concentration to their clients need and try to best effort to satisfy them. Experience of working with varied types of corporate clients with multicultural background Providers of executive search and managerial recruiting services. Human Resource training and development is the imparting of necessary knowledge and skills to a human resource professional in the organization. This is necessary for a number of reasons. HR professionals are very important for the organization. They need continuous upgrade of their skills and attitudes. Training them to bring them on par with the organization’s goals and in tune with the industry trends is necessary, since well-equipped HR professionals are the means to ensuring optimal performance from the organization’s employees. A positive environment for learning is always critical for success, whether it is the environment of a classroom or the environment of your organization. The learning environment provided by an organization is a function of the organizational culture. Organizational culture means the values, attitudes and beliefs reflected in the mission and goals, and practices of the organization. SCSL has a huge infrastructure for its employee as well as other interested candidates. Different types of training program held in our SCSL office compound. SCSL has a huge infrastructure and lab for its employee & other training program under Hi-tech Park & IDB-BISEW IT scholarship programs. Engineering, Modeling & Drafting with Rivet Architecture. Scholarship Training on Web Design & Development using PHP, My SQL, HTML under Bangladesh Hi-Tech Park Authority IT Scholarship Project. Training on AutoCAD and 3ds Max under Industrial Attachment program of FENI Polytechnic Institute. The course duration is 2 month. Bangladesh Hi-Tech Park Authority and Star Computer Systems Limited will jointly award certificates to the participants who would finish the training successfully under this Scholarship Project. To build up the ICT skilled and efficient human resources Bangladesh Hi-Tech Park authority has arranged a number of training programs on ICT. Star computer System Limited has been selected as a training service provider of Bangladesh Hi-Tech park authority to train the local youth on i-phone application Development which will help the youth to serve the IT industries as app Developer. The course duration is 92 hours. Bangladesh Hi-Tech Park Authority and Star Computer Systems Limited will jointly award certificates to the participants who would finish the training successfully under this Scholarship Project. I work in Star Computer System Limited as an Intern in HR and Administration. These are my job responsibilities given below. I also work as a training coordinator to arrange the training. I worked as a training coordinator under the training manager in the Capability maturity model integration (CMMI) project. I receive and update all human resource policies to meet the organization needs and to develop the business. Monthly meeting with the board member about the business development. I plan and facilitate the HR activities in the term: Contract, recruitment. Seat in the recruitment process with the judges. Monitor the activities and record of the number of candidates participated in the recruitment process. I develop job description for current/new positions, Performance appraisal of employees is needed to be prepare. If a new position is needed then the job description is prepared and developed according to the organization need. I maintain current staff contact list, email information, addresses, individual employees files all are arranged in a descent manner in the box file according to their department. If an employee is resigned then I have to update the database of the employee detail list. I Assist the progress of job planning and performance management by maintaining the employee skill matrix which is a excel sheet containing the information of the skills that are needed for the employees. I check the attendance & absenteeism: This policy applies to all Regular Full-time, Probationary, Contract, Part-time, employees under the jurisdiction of the Managing Director of Star Computer Systems Ltd.
An employee who signs an employment contract is presumed to have bound himself to work regularly just as the company commits itself to pay him regularly. This way company can run its operations efficiently & effectively. An employee who does not report for duty on time shall be considered absent, unless his/her leave has been approved earlier, except emergency or sick. She/he shall be considered Absence without Official Permission (AWOP) and pay shall be forfeited for the entire period of such absence. AWOP is subject to Disciplinary Actions. All Employees must attend to job during working hours. Un-approved and/or habitual absence from job during working hours is subject to disciplinary actions. It‘s no secret that business success today revolves largely around people, not capital. This is of great significance especially in ‗people businesses‘ like software companies with relatively high people costs and low capital costs. According to Barber & Strack, (2005) people businesses are those companies with relatively high employee costs, a high ratio of employee costs to capital costs, and limited spending on activities, such as Research & Development aimed at generating future revenue. The question of where and how value is being created or squandered could be identified in people-intensive businesses by looking into metrics of productivity of people rather than of capital. The critical resources are employees a software company hires, motivates and retains. While occasionally, the value employees create in some software companies does take the form of intangible assets like intellectual property, brands, and the like, most employees in people business like IT services and products concentrate more on creating short-term value directly for customers, month for month and year for year, without the intermediary step of creating an intangible asset. The distinct but generally unappreciated economics of people-intensive business like software can not only for different metrics but also for different management practices. Even slight changes in employee productivity in software companies have a significant impact on shareholder returns. In such cases ―human resource management” is no longer a support function but a core process for line managers. It goes without saying that managing people is a key task for any company. But in a people business, this task becomes central to success because employees represent both the major cost and the major driver of value creation; People- management measures that lead to even small changes in operational performance can have a major impact on returns (Barber & Strack, 2005). Given the high financial stakes, people management needs to be a core operational process and not solely a support function run by the Human Resource department. Line managers have a vital role to play in improving employee productivity, in terms of both business issues (such as whether to concentrate on large or small accounts) and management issues (such as how to create an organization and work environment that foster productive output). If success in a capital-intensive business comes primarily from making the right investment decisions, success a people-intensive business comes from hiring the right people and putting in place processes and an organization that makes them productive (Barber & Strack, 2005). Managers also need to ensure that employees’ interests are aligned with a company’s business objectives and their execution. It is crucial to keep employees engaged and productive. The existing business environment requires companies as well as their HR teams to think out-of-the- box, and come up with innovative approaches to survive the downturn and hold employees together. Innovative approaches would motivate the employees in software companies to utilize their set of skills and knowledge through discretionary effort realizing firm‘s business strategy. This approach to human resource management is likely to contribute to improved economic performance of the firm. Innovative arrangements also have the potential to increase employee morale, thereby improving performance through reduction in grievances and through greater effort and diligence. Research have shown that HRM innovations not only result in tangible organizational results but also assist organizations in developing innovative solutions as the need arises. On the contrary, there are at times HRM innovations fall short of expectations to achieve outcomes such as favorable employee attitude and behavior. Research evidence on the relationship of innovative Human Resource Practices with employee attitudes is still very limited. Human Resource is life and blood of software companies as skilful talents are the source for competitive advantage in these industries. The dynamic nature of the software industry due to the innovative methods of work culture like virtual office and virtual migration shows the need for different HR practices to this fastest growing industry. Software companies are employing innovative human resource practices which are different from the brick and mortar companies to manage their human resources. The HR practices in Bangladeshi software companies like employee sourcing and human resource development initiatives are remarkably different from the manufacturing and other service sector companies. I monitor and record employee time sheets and leave requests. I maintain all administration operations. To monitor is that are all the people are working in time. If any employee is late or absent in the office without any notice then I have to make contact with him. Any other job assigned by the mentor and Head of the department. This project is to find the differences of student satisfaction in Star Computer System Limited and in New Horizons. Students are given some questions and on the basis of those questions they are judged. From this project we find that there will always some difference. There will be two companies, one is Star Computer System Limited and another one is New Horizons. I have to go to each of these training institute and take a survey by submitting sample questions to the students in the coaching centers and collect them. After collecting them I am going to analyze them and submit the result. (a) To identify how the students are motivated to their training. (b) To identify the feelings of the students to be the part of the training center. (c) To identify the level of involvement of the students. Source of data: This is a descriptive research. This report will only base on primary and secondary data. Data collection instruments: The data has been collected from the existing 20 students of Star Computer System Limited and of New Horizons through a questionnaire which was developed through the prior suggestion of the intern supervisor. I have faced some problems during preparing the report. They are given below. (b) Lack of data and cooperation from the Archive. (c) Lack of knowledge and experience was my limitations as well. As my project was based on a descriptive research, I have taken a sample size of 20 students and the results are discussed below. After getting all the data and comments from these two companies I have found some difference between these two companies. These are given bellow. My first question was ―How does the coaching center look like?‖ In this question 55% students say excellent and 50% say good only. Findings: This question was asked to find out that wheather the students like the coaching center building from outside. 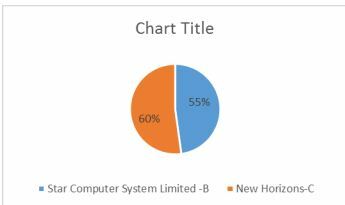 55% students find Star Computer System Limited as an excillent building with very good rooms. There is air condition facility. Star Computer System Ltd. Consist of three floors where 2 floors are only for the students to train in a well organinsed classroom. There is only one lift for exeryone in this building. Sometime the lift creats problem for them. In case of New Horozons I find that there are only 50% students who are saying that this coaching center is only good but not excillent. Because students can not find an excillent look of the coaching center. The coaching center is air conditioned but may be the service is given by the center is not excillent for the student. The lift of New Horizon is very small for the students. This can lift only 4 people at one time. My 2nd question was ―How is the environment of the couching center?‖ In this question 55% students say very good and 60% say good only. Finding: This question was asked to find the envronment of the center. 55% students of Star Computer System Ltd. Mark the environment as in a very good condition, but not in an excellent one. The employee in the customer care who gave information about the course or anything related to the coaching servs the student very good. They are well dressed and always in a very good manner. In case of New Horizons I find that 60% students say the environment is good but not excillent. Because the classroom size is not enough for the students. Some time the student can not find the pc which is need to do the training. Because of the congestion of the students it become difficult for the students do the class. My 3rd question was ―Are you satisfied with the class time? In this question 45% students say very good and 40% say on an average. Finding: This question is to find the satisfaction about the class time. In case of Star Computer System Ltd. There are 45% students say that the class time is very good. That mean they are saticefied with the class time. 55% students is not satisfied with the class time, because normally the class time is for the reguler students but not for the professionals, who does job in the day time. So there should be flexibility in the time limit. In case of New Horizons I find that 40% students say the time satisfaction is an average. That mean the students are not satsfied with the time limit. So the coaching center should make the time flaxible for the students. This could happen because there are students doing job. So they can not continue the coaching. From all these analysis I find that Star Computer System Ltd. Is much more acceptable than New Horizons. In the A, B, C type of questions students have given only A and B to Star Computer System Ltd. That mean this coaching center get only excellent and very good in these type of questions. In the Yes/No type of questions I find that almost 100% students give yes to Star Computer System Ltd. than New Horizons. That mean almost all the students are satisfied with Star Computer System Ltd. But in case of New Horizons very little number of students are satisfied with this coaching center. 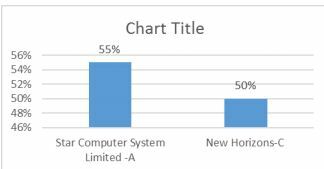 Below is the overall difference between Star Computer System Ltd and New Horizons. Both Star Computer System Ltd. And New Horizons are doing well in the coaching field. There are many factors of judging the satisfaction of the students in these two companies. But I have chosen some factors and try to find the satisfaction of the students. 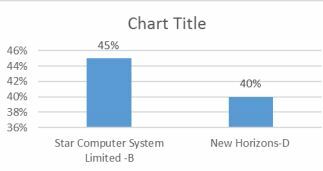 From my findings I can say that if New Horizons and Star Computer System Ltd. Can follow factors which I have given as a recommendation then these company can progress in there coaching business. Bangladesh is a regenerative country, which is growing, making its presence in the global forum. Moreover it is one of the countries that are looked upon as the next growth center. So let us be conscious about the fact that there is a regenerative Bangladesh, creative Bangladesh, path breaking Bangladesh. Hopefully IT sector is the next opportunity for Bangladesh. Star Computer Systems Limited is doing well in IT sector in Bangladesh. SCSL has a depth of resources especially who is leading the organization. So if they want to achieve the goal, they need to ensure the proper learning for the each and every employee. I hope SCSL‘s skilled and efficient employees will make sure all success for the organization for the long run. New Horizons is ranked in the top 5% in the industry for training quality and customer satisfaction as reported by an independent third-party learning and quality assurance company, Knowledge Advisors. Plus research shows that New Horizons training yields a 4:1 benefit-tocost ratio, based on manager surveys of the improved performance and productivity of their employees immediately following New Horizons training. Emphasize training as an investment. While the initial costs may seem high, stress within your company that training is a long-term investment in the development of your staff. Target your needs. Identify the specific skills you need to improve and the timeframe within which you’d like to meet your training goals to provide the optimal payback. Encourage a learning culture. Express to all employees that your organization cares about enhancing their skills and wants every worker — whether training or not — to remain competitive within their skill set. Include management. Bringing managers and company leaders on board with the new training initiative is a vital way to build support for the effort. Start small. Before rolling out a new program, test some aspects of your training system with a smaller group of people to gain feedback and fine-tune the process. Select high-quality instructors. Make sure the trainers hired are professional educators and that their materials can serve as valuable resources in the future. Pick a good space. A training location can strongly affect the quality of the learning, so make sure your training area has sufficient space and the necessary equipment, such as computers. Clarify your goals. Ensure that employees know the specific purposes for their training and how they connect to larger company goals. Remember to award those who perform well. Make it a continuous process. Don’t limit your training to new employees, and try to bring in as many workers as you can who would benefit from additional training. Track the results. A training program won’t be effective unless you monitor its progress. Choose a metric, such as productivity or profit, to help determine the return on investment for your training efforts and establish concrete results. How to write a Business Announcement Letter?